Have you heard the one about the Cornish Pasty in Mexico…? No really, the Cornish pasty may well be linked with Cornwall but there is now a museum dedicated to the culinary delight near Pachuca, Mexico. 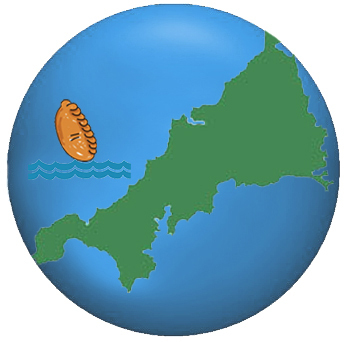 The Pasty was brought to Mexico in 1824 by the Cornish miners who went there to work in the mining industry, the recipes has ‘evolved’ over the years but the good old pasty is doing well down there in warmer climates. To find out more about the museum have a look at this article in the Telegraph.